This A8L is the car to book when you need to travel in Pure Style and Luxury. There is so much leg room its better than Business Class. The drive also is out of this world with its air suspension for extreme comfort. 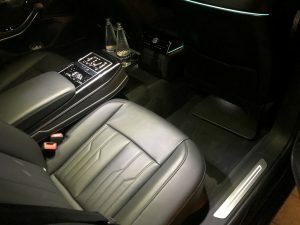 This car is an absolute dream with so many toys, rear comfort is first class complete with remote control for you to operate all your luxury functions , including reclining seats, heated seats, matrix lighting and even the radio. The rear fridge is out off this world so cool you have to see it to believe it.